Absolutely perfect gift for my friend! I’m so glad you liked it Arianna, Happy New Year! Is this recipe for one jar? I’m trying to make 12. Was the lucky recipient of this mix as a Christmas gift from my boss. 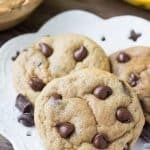 Super easy to make and truly delicious! Just the thing for a January Snow day. It will be my go to mix from now on both for home and for gifts. Thanks so much for posting! 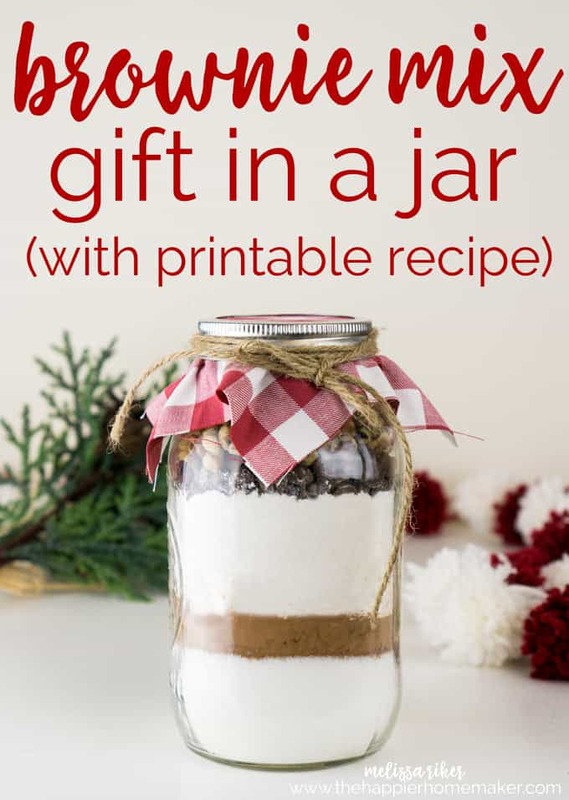 I’m just wondering what are the dimensions of the jar or does it not matter in order to use the same recipe with the same ingredients? This was a 32 oz jar Nadine! What size mason jar is this? 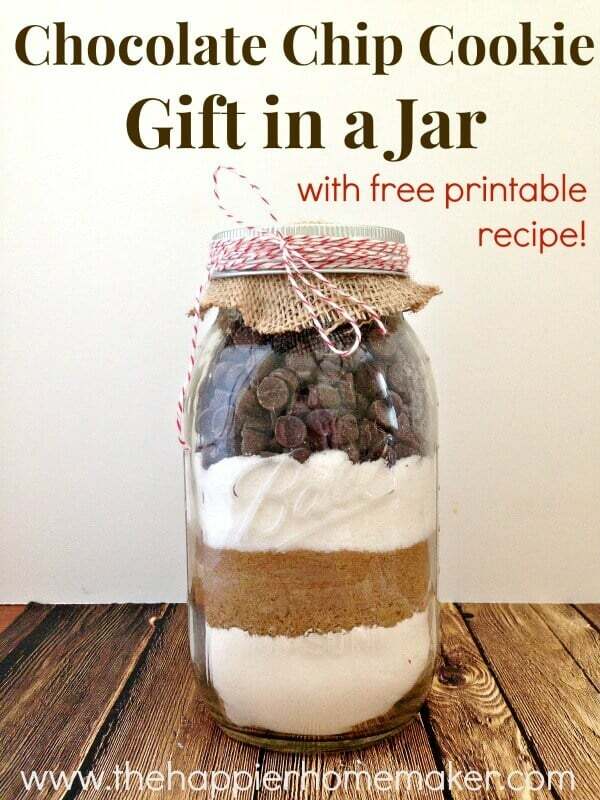 I am planning to give several of these jars for Christmas gifts this year. I made myself a sample jar and baked the cookies, just to make sure I liked them before I gave them. As my husband says – THEY ARE KILLER! Yummy, so rich and buttery. One question: I made the cookies 2-3 weeks after I had filled the jar (and yes, I did secure the lid, so the mix was airtight). The brown sugar had gotten a bit hard, but I was able to get it all out of the jar with a wooden spoon, and it then crumbled in the mixing bowl and was ok. I am wondering if I should perhaps wrap the sugars (especially the brown) in plastic wrap before pressing them into the jar, so it keeps it moistness? Have you had any problem with this, or do you have any suggestions? I am afraid if the cookies aren’t made fairly soon after receiving the gift, the brown sugar might get really hard. 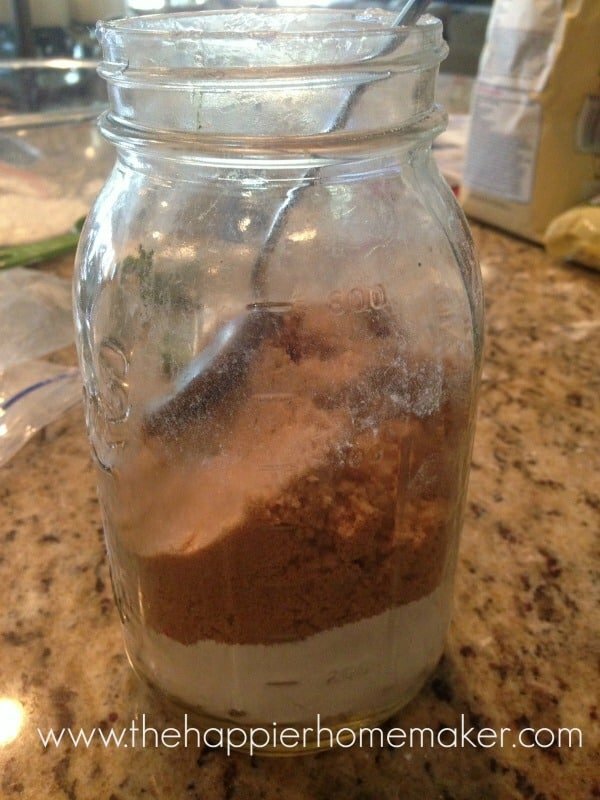 Melissa, thank you so much for sharing your cookie mix in a jar … and for free too! Such a wonderful gift to your readers/bakers/cooks. Thanks you over and over. 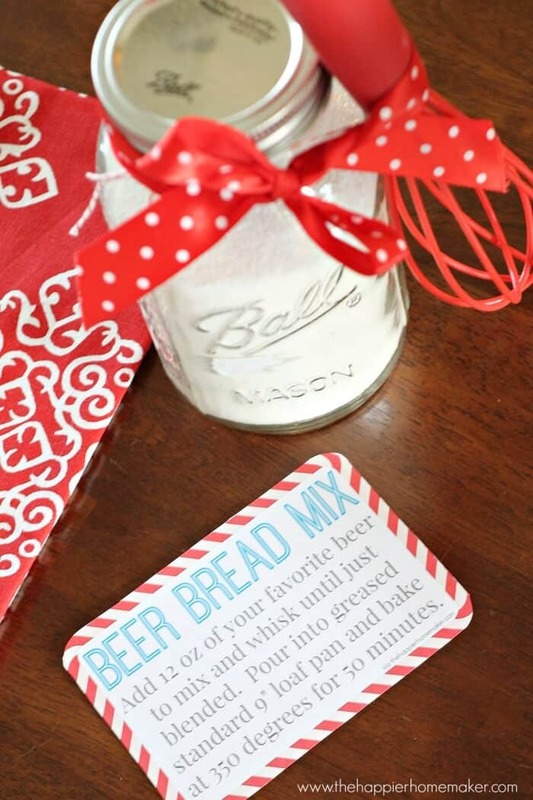 This was the perfect gift for my office holiday party! 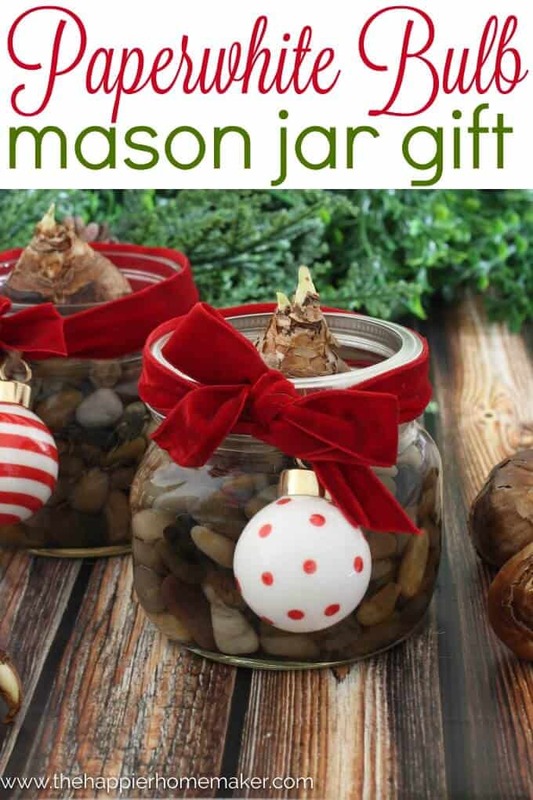 Thanks so much for the idea, I made a jar for myself and I can’t wait to try the cookies! Why is the baking sheet ungreased? 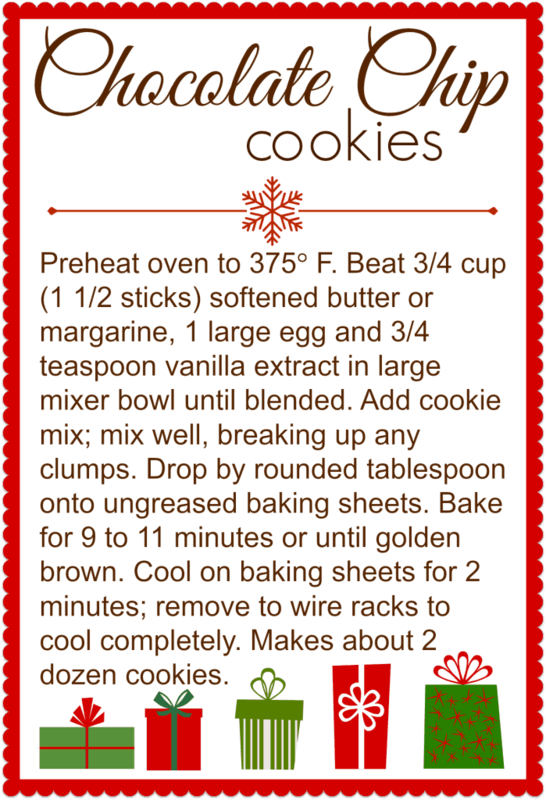 Lots of cookie recipes are ungreased–there is a lot of butter in the recipe–it greases itself! Ok my local walmart didn’t have any original mason jars so I bought some anchor glass jars. Still 1 quart and when I got to the top I only fit in 1 cup of chocolate chips? Then I looked back at your picture and my flour mixture is taller than yours? Would one cup of chocolate chips be enough.? I had to tap it down for a while with the back of a spoon. Just working the edges again and again. Then when I put the brown sugar in I pressed that in down and down and used that to squish the flour more. I can’t seem to get the flour mixture low enough in the jar. I try to use the spoon, but it’s not really helping. had to tap it down for a while with the back of a spoon. Just working the edges again and again. Then when I put the brown sugar in I pressed that in down and down and used that to squish the flour more. I just made a jar for my teen son!! Food is always a great gift for teens. lol Thanks for posting it and having a great downloadable label! It was just the right size to stick on the side of the jar! Hi is there any way we can make this without egg… please guide.. wanted to give this for my daughters bday! You could probably use bananas or applesauce. its 1/4 cup apple sauce for every 1 egg you would have used. How long will it last in the jar? It will last for a long time (all the ingredients are shelf stable. Months easy, maybe more (depending on how how fresh everything was when put in) the brown sugar might clump up, but if you are mixing in a stand mixer it ought to be able to break it up. Just want to seal it in tight!